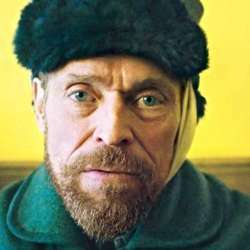 At Eternity's Gate - Movie About Van Gogh! You must be a member of the Istanbul Cinema Group to attend this activity. Would you like to join this group? On Sunday, we meet in front of the digital ticketing booths, which are next to the elevators and stairs, to the right of the ticketing desk. Attendees can meet there between 16:30 to 16:40 and then we can enter to the movie theater, and then after the movie, we can discuss the cinema experience with those who wish to stay. One of the most exciting movies of February is 'At Eternity's Gate'; A look at the life of painter Vincent van Gogh during the time he lived in Arles and Auvers-sur-Oise, France.